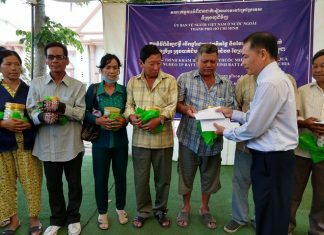 Hundreds of families in Ratanakkiri province have reached a partial deal with Vietnamese rubber firm Hoang Anh Gia Lai (HAGL) that will spare their remaining farms and forests from development. 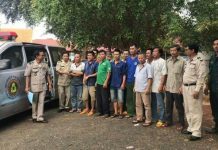 Though a rights group called the agreement a “major breakthrough” in negotiations being brokered in Siem Reap province by the International Finance Corporation (IFC), the hard work of drawing borders around the 11 villages and compensating them for the land they have already lost to the company still lies ahead. “HAGL representatives officially confirmed the company’s commitment not to carry out any further clearance or development of its Hang Brothers, CDR and Hoang Anh O’Yadaw concessions and return the remaining undeveloped land and forest, which the company estimates to be greater than 10,000 hectares,” David Pred, managing director of Inclusive Development International, said in a statement on Saturday. HAGL and the families issued a joint statement on the same day confirming the agreement, which affects some 1,600 households. In addition to not disturbing the farms and forests the families have left, HAGL agreed not to use any unauthorized chemicals on its plantations; to repair any roads and bridges it damages; to help demarcate the boundaries of the villages; and to compensate the families for the land it had already cleared or return it to them if they deem the offer insufficient. HAGL also officially apologized to the families for the damage done and will give each village a cow weighing at least 400 kg along with $500. The families accuse HAGL’s three rubber plantations of stealing their farms and forests, spoiling the rivers they fish, and disturbing ancient burial grounds. Most of the families are part of the area’s patchwork of indigenous minority groups, which rely on the forests to survive and believe them to be home to age-old spirits. 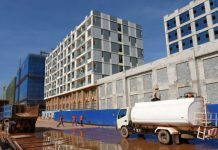 With the help of Mr. Pred and others, they filed a complaint last year with the IFC, which has put millions of dollars into a Vietnamese investment fund with a minority stake in HAGL. Sol Noeuy, a representative of the families, said they blame 11 deaths on HAGL for angering forest spirits by cutting down trees, though he said the cows would appease them. However, Mr. Noeuy said he would not celebrate until their villages were fully demarcated and recognized by the government. “We will wait until we see the agreement implemented,” he said. The company, he added, agreed to start demarcating the villages next month, which will help them secure the communal land titles they have been seeking for years. “We don’t expect this to be easy but we are hopeful that, with the assistance of high-resolution satellite images from the period before the concessions were issued, we will be able to see the land cover and land use patterns that existed in the areas claimed by the communities that overlap with HAGL’s plantations,” Mr. Pred said in an email. 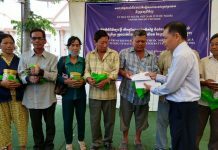 On Thursday, HAGL announced that about 400 households in three other villages included in the complaint that had not yet been affected by its plantations would not be disturbed. Three other villages were dropped from the complaint in July after they came to the conclusion that the plantations affecting them were not connected to HAGL.